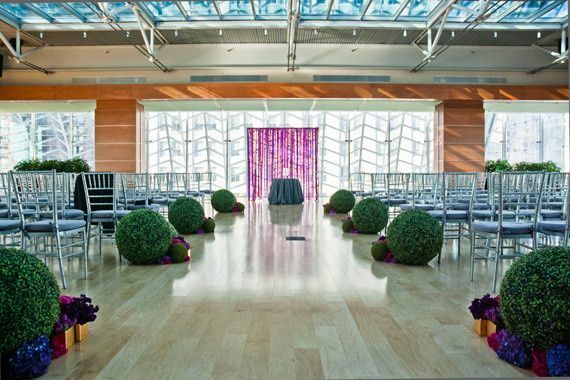 Kimmel Center for the Performing Arts is a historic city wedding venue located in Philadelphia. 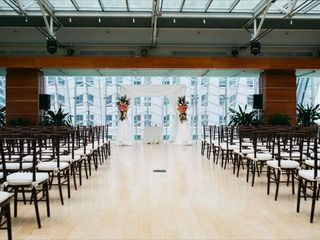 As an elegant and sophisticated establishment, the venue believes that a wedding is a performance. In their eyes, you are the producers and lead actors! 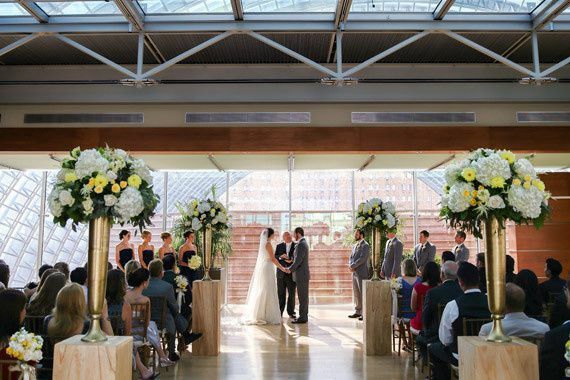 At Kimmel Center, guests will never forget the majestic architecture and traditional elegance of the venue. 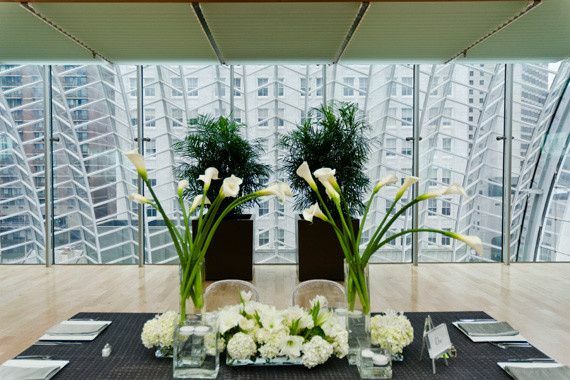 Couples are welcome to host up to 400 people at Kimmel Center for the Performing Arts. 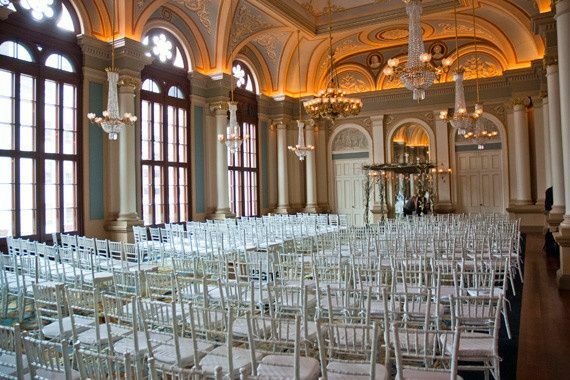 The 1857 Academy of Music Ballroom features hand-gilded walls, twinkling chandeliers and decorative backdrops. 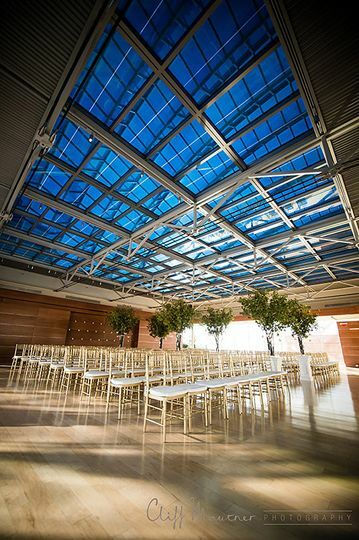 The scenic view of the Avenue of the Arts will blow your guests away. On the top floor, the Hamilton Rooftop Garden offers 6,200 square feet of hardwood maple floors, complete with skyline views. The Commonweatlh Plaza is a multi-tiered lobby that can accommodate up to 1,250 guests. 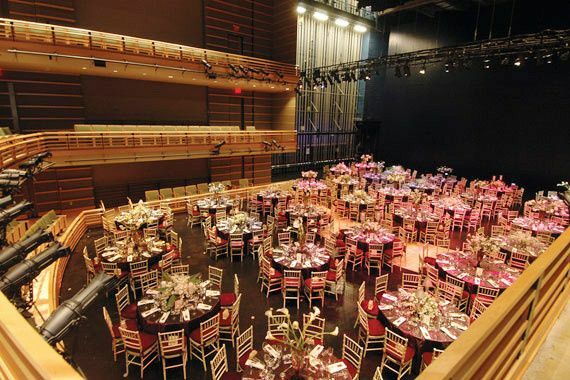 For something totally unique, The Perelman Theater can be used for a cocktail reception and dinner. The seats and stage can be adjusted to suit your needs and vision. Kimmel Center has a Lounge with an outdoor balcony and scenic city views. They also have a parking garage with wheelchair accessible spots. In 1996, two projects began to merge and form the Kimmel Center. The Philadelphia Orchestra had an ongoing plan to build their own establishment, while the mayor at the time, Mayor Edward G. Rendell, had plans to provide a venue for the city’s performing arts companies and touring artists. The two projects were combined under the management of Regional Performing Arts Center. 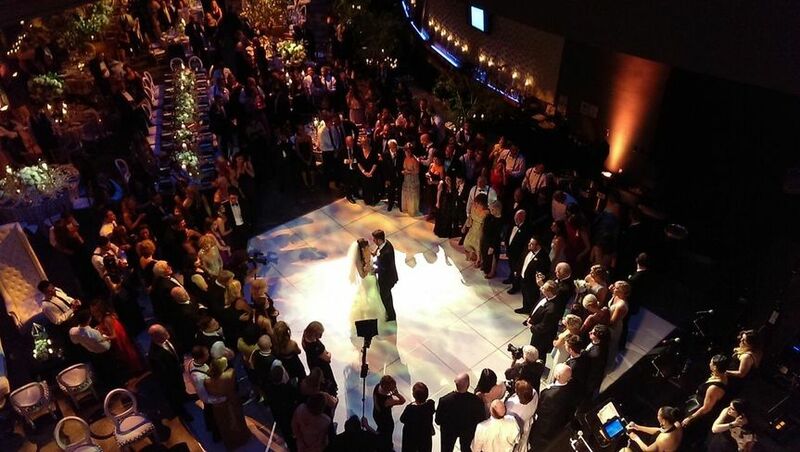 Kimmel Center for the Performing Arts has been hosting weddings since 2001. 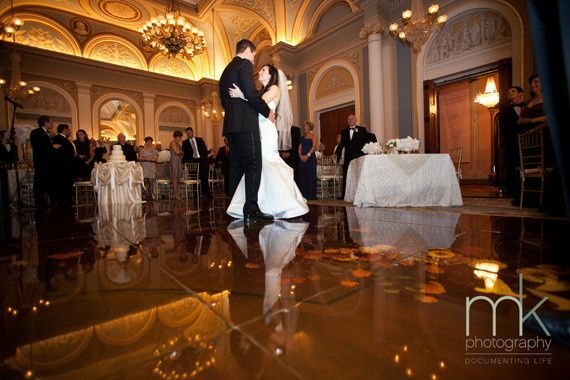 The historic wedding venue is conveniently located in downtown Philadelphia, just three minutes from Philadelphia City Hall. It is 10 minutes from the Liberty Bell and 19 minutes from Philadelphia International Airport. Excellent all around!!! 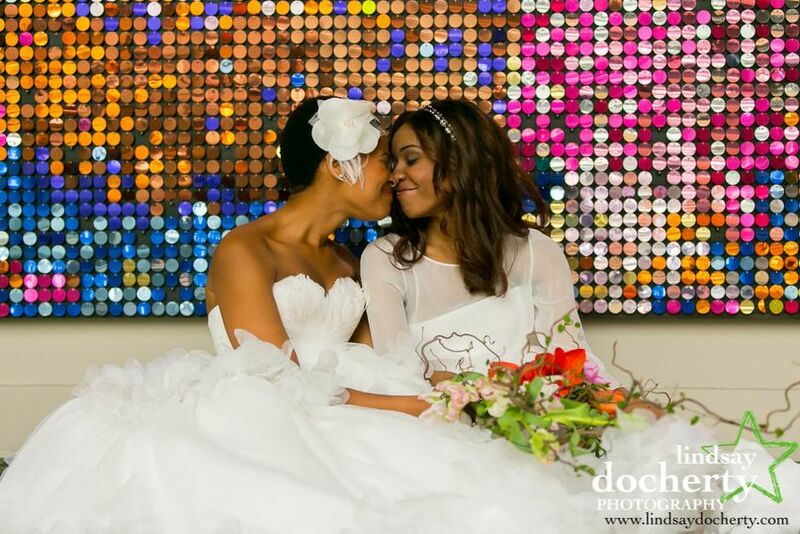 I am very pleased with the services that I will receive on my big day. Our wedding could not have been more perfect! Working with Darcy to plan the wedding was such a breeze and the day of was flawless! 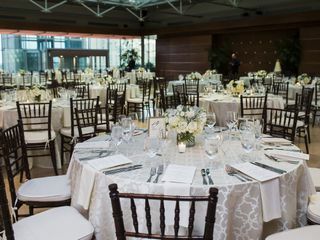 My husband and I picked Kimmel center because Garces was our favorite chef in the Philly area and the venue was stunning, unique, and convenient (most of our guests including ourselves lived in the city). There were so many options to pick from for personalizing our wedding to our perfect look and taste and any questions we had were answered promptly. The staff on the day of were incredibly professional and also included a bridal attendant (which I never heard of before) who was wonderful and made sure that my husband and I always had our glasses filled and had time to sit and eat! We would highly recommend you to check it out!